Analyze and compile estimate data that impact the cost of labor, materials, equipment requirements, location and other factors to ensure a high quality and timely estimate. Review drawings, specifications and proposed project site conditions; record findings and solicit input from field operations to include in final project estimate. Analyze alternative solutions and construction methods to increase competitiveness of the bid. Review “take-off” quantities to ensure accuracy of data used in estimates. Utilize existing cost history as a check to complete estimate. Apply mathematical calculations requiring advanced analytical processes to ensure logically estimated costs are accurate. Present estimate and participate in bid reviews with senior management to ensure accuracy and completeness. Communicate with owners, subcontractors, public and private entities to ensure competitiveness. Communicate estimate bid information to field operations at pre-construction meetings to ensure understanding of scope of job and critical means and methods of construction. Develop and maintain business relationships to increase bid opportunities in the regional market. Supervise, direct, and mentor estimating staff to ensure individual development and standards are met. Participate in and/or lead Design-build preconstruction services to ensure a high quality, competitive estimates and schedules. 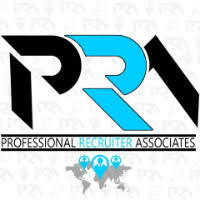 For immediate consideration, please forward a copy of your current resume to info@profrecruiters.com referencing job #1736 or a link to this job.